Kingdom Hearts III is here, after what feels like three million years. As I put my head to the task of choosing the worst worlds in the series just last week, it stands to reason that I also had favourites instead of just hating everything about it. So here it is, my Top Five Best Kingdom Hearts Worlds. What is not to love about Castle Oblivion? Even its very name exudes an early-2000s unnecessarily edgy vibe, so it’s the fitting base of operations for a splinter group of members from Organisation XIII, itself a menagerie of misfits that wouldn’t look out of place in a My Chemical Romance video. The main draw of Castle Oblivion, however, is its premise of loss. 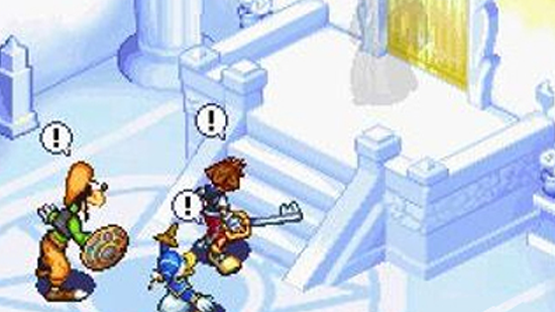 The further Sora explores the castle, the more of his inner hidden memories he will uncover by sacrificing his current memories. It’s quite honestly an incredible idea, and one that is played out rather well, if a little on the camp side. Also, I honestly still don’t know whether I like Naminé or not, which is a small testament to the writing within this location. 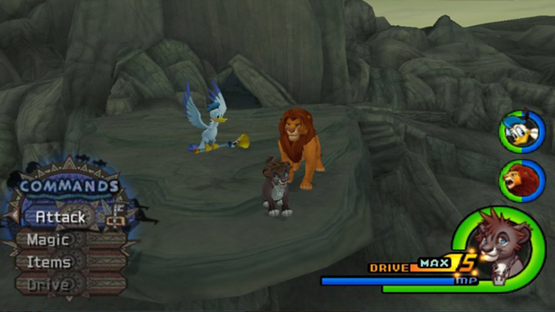 Sora becomes a lion in this world … A freaking LION! Seriously though, I had to put Pride Lands in this list if only for the sheer attention to detail at play throughout the world. Not only is it beat perfect to the source material, albeit with a few things that aren’t in the film (like the Nobodies, for instance), but it simply feels great as a world within the realms of the Kingdom Hearts franchise. 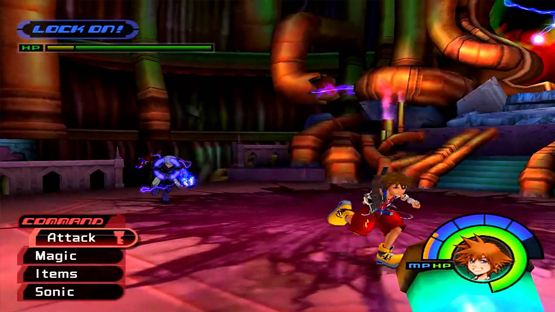 Also, this felt like the natural evolution from Kingdom Hearts version of Atlantica with the key trio becoming sea creatures, and the stepping stone before the Monsters, Inc. world in Kingdom Hearts III, and one where the gameplay felt markedly different from the other, bi-pedal worlds. There’s an element of bias in this pick, as Sleeping Beauty just happens to be my favourite Disney film of all time, but this doesn’t detract from the fact that this is a fantastically well put together Kingdom Hearts world overall. Only visited in the Birth By Sleep games, which is a complete shame as it means that there are a lot of people that won’t have visited this world. 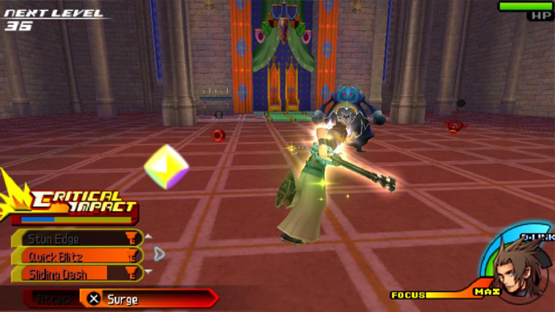 The player can finally take on Maleficent on her home turf, have the top Disney husbando (my opinion, don’t @ me) Prince Phillip as an ally, whilst hunting down Xehanort and it is an absolute dream to play through, if feeling a little short in comparison to some Kingdom Hearts worlds. What’s better, after dozens of hours of smacking Heartless around than a quick game of Poohsticks with everyone’s favourite honey-crazed pantless bear? 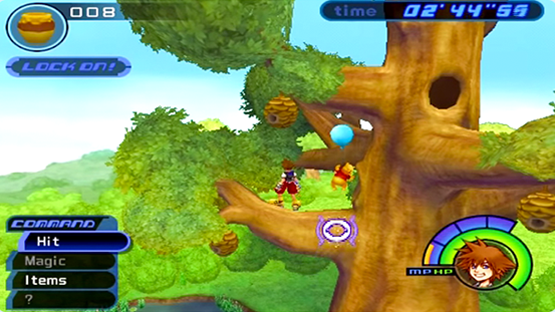 The 100 Acre Wood world in the series has stood as a gentle mini-game collection for the player to dip into as and when, and stands out for me as a much needed change of pace in each of the games it appears in. It’s not as if there’s no narrative to be found in the world either, with the keyhole of the world still needing to be sealed to protect it, so at least there’s a point to the world (looking at you, Monster). Furthermore, there’s the adorable interactions of the characters, which add little-to-nothing to the main story, but make me feel all fuzzy nonetheless. That. Music. Though. Hollow Bastion is definitely the only world that has made it onto this list based solely on the song that plays throughout. This original world has the aforementioned awesome music, an incredible visual design, an incredible set of boss fights within its wall, and an angst-ridden plot of Beast fighting his way through the castle to save Belle. From a gameplay perspective, however, Hollow Bastion is an actually kind of dull level, complete with frustrating switch-based puzzles and some of the most obnoxious enemies in the whole first game. It gets an additional point for being on this list for the Radiant Garden reveal too, as that nonsense caused my jaw to drop back in 2005. This world just narrowly missed out on making the Top Five, which is a shame because both sides of this ludicrous Disney world are thoroughly enjoyable. 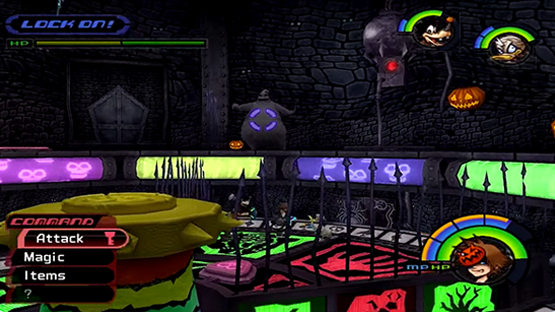 I personally loved Halloween Town in the first game, with one of the most best sets of rearrangements of Disney music that are found in the entire game, and a fantastic boss fight in Oogie Boogie. Then in the second main game, you were allowed to visit Christmas Town whilst in this world and I fell in love all over again. Most Disney worlds in Kingdom Hearts feel very close to the source material, this world feels more like a love letter to the film it was based on, and is all the better for this.